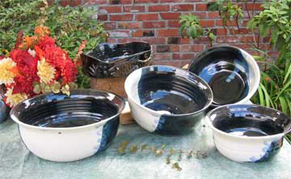 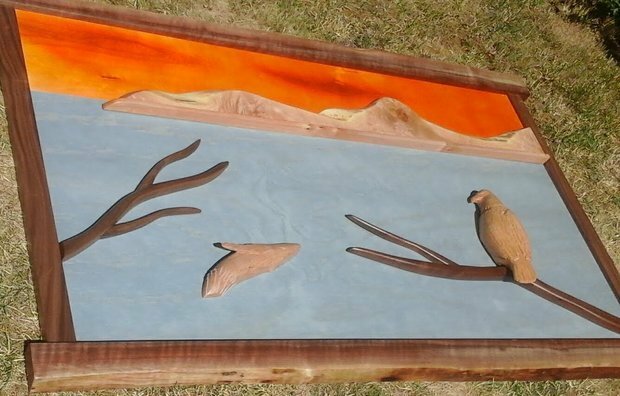 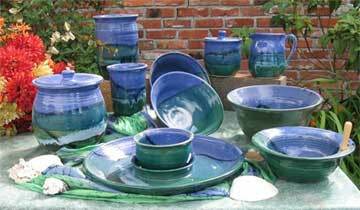 You will find Lyndsay's pottery studio just outside of town overlooking Somenos Lake. 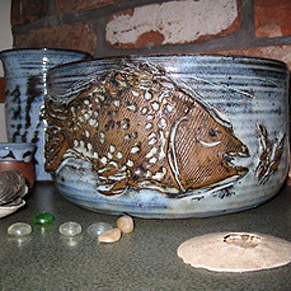 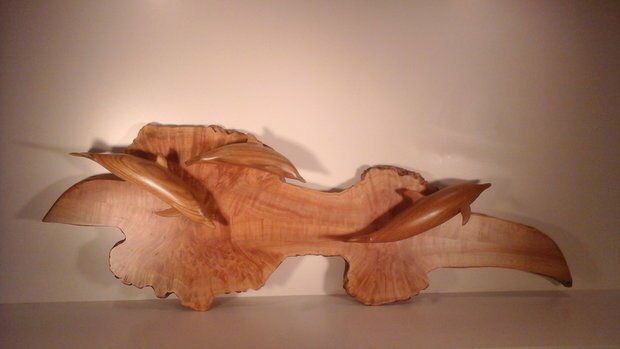 Many of the pots are decorated with a West Coast theme featuring landscapes and fish decoration. 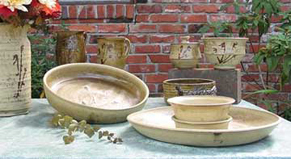 Enjoy a large selection of wheelthrown functional pottery suitable for day to day use.